Sometimes I forget to check Brooks Brothers for girls' clothing, though after today I will forever mend my ways. This beautiful selection of high-quality classic coats is all 50% off right now at Brooks Brothers, and today only you can take an additional 15% off the price upon checkout (additional 25% if you have a Brooks Brothers charge card). 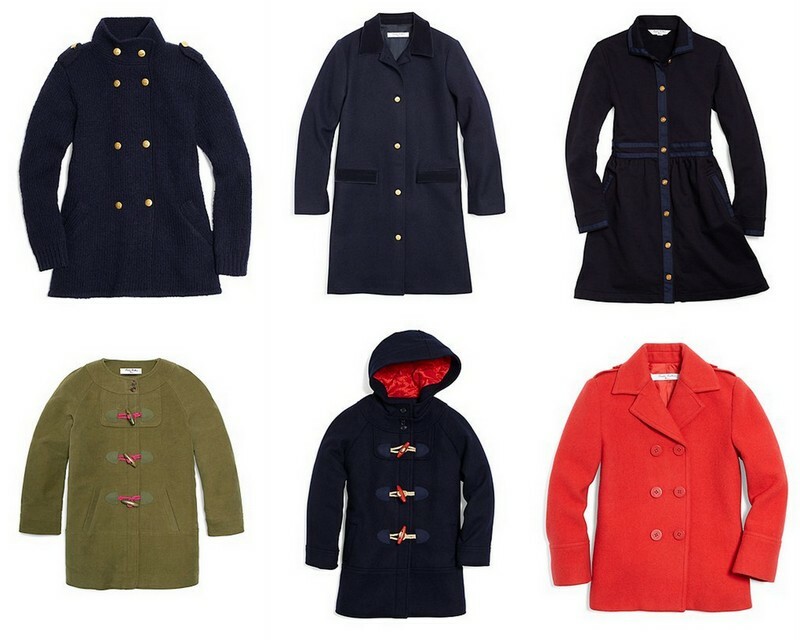 This still does not bring these coats into the realm of "inexpensive", though coats like this may just be the perfect piece to pass down from child to child through the years. Especially a classic like the navy duffle coat with the red hood lining that will work beautifully for both boys and girls. And the dresses!! Also 50% off (plus the additional markdown), there is a certain Moonrise Kingdom flair to a few of these that I would not necessarily have expected. 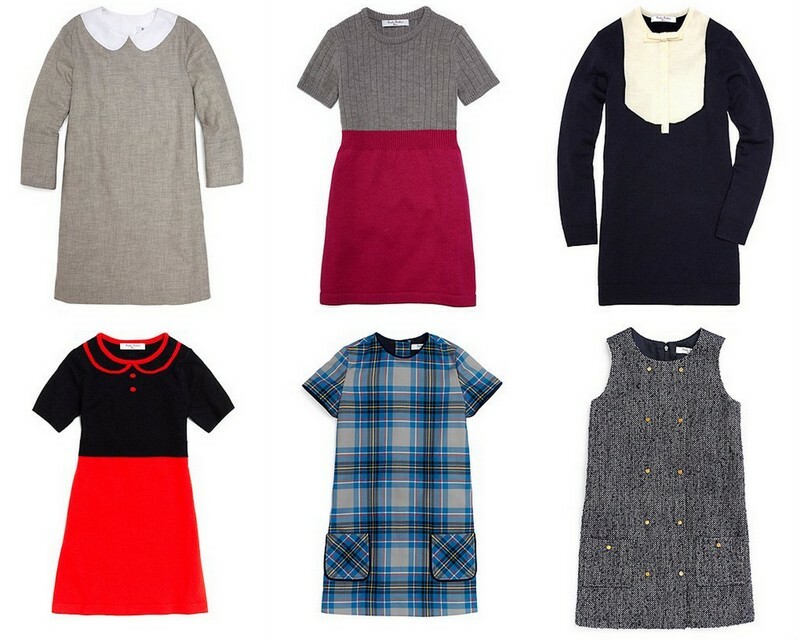 I am crazy about the red and navy merino wool dress with the faux Peter Pan collar. And the little plaid shift with the pockets! Perfection. If you feel like a fall/winter splurge for next year, have a look at this sale closely. Brooks Brothers Kids is available in sizes 4 through 16 and just to tempt us even further, everything ships for free!!!! PS There are some great boys' items as well (like this nylon quilted jacket).